[S2662] Andrew Burdett, family web site titled "Our Northern Roots", http://www.ournorthernroots.com/index.php, viewed Jul 2013. [S5442] Massacusetts, Marriages, 1633-1850, online index database, digitized by Ancestry.com Operations Inc, 2005 www.ancestry.com. (Original publication: Jordan Dodd Liahona Research Massachusetts, Marriages 1633-1850, Salt Lake City Utah: Family History Library). [S1386] Vital Records of Charlestown, Massachusetts to 1850, online database, digitized by New England Historic Genealogic Society, 2008 www.newenglandancestors.org. Original publication: Roger D Joslyn Vital Records of Charlestown, Massachusetts to the year 1850, Boston Mass: New England Historic Genealogical Society. Vol 2, p 286. [S4072] Massachusetts, Town and Vital Records 1620-1988, online index database, digitized by Ancestry.com Operations Inc, 2011 www.ancestry.com. (Original publication: Town and City Clerks of Massachusetts Massachusetts marriages 1633-1850, Provo, UT: Holbrook Research Institute (Jay and Delene Holbrook)) Charlestown, p 327. [S4612] Mary Lou Hrvatin, family tree titled "Dollison Glenn Warren Langer Able Tree_2012-04-04", published by Ancestry.com, www.ancestry.com, , Not Available as of Nov 2013. [S4432] 1850 US Federal Census, Springfield, Sangamon County, Illinois, digital image ; National Archives micropublication, Charles Edmonds head of household, roll M432_127, page 102A. [S2662] Andrew Burdett, family web site titled "Our Northern Roots", http://www.ournorthernroots.com/index.php, viewed Jul 2013 , date 10 Jan 1832 - incorrect, place Springfield Illinois incorrect. [S4072] Massachusetts, Town and Vital Records 1620-1988, online index database, digitized by Ancestry.com Operations Inc, 2011 www.ancestry.com. (Original publication: Town and City Clerks of Massachusetts Massachusetts marriages 1633-1850, Provo, UT: Holbrook Research Institute (Jay and Delene Holbrook)) Charlestown, p 20. 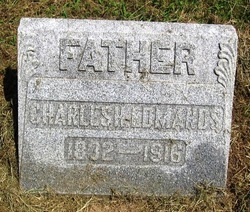 [S4353] Find A Grave: Oak Ridge Cemetery, Springfield, Illinois, Charles H Edmands, created by Charles W Brown; BjJ, added Oct 2008, memorial number 30576196. [S4617] 1910 US Federal Census, Springfield, Sangamon County, Illinois, digital image Ancestry.com ; National Archives micropublication, William A Starne head of household, Ward 4, roll T624_325, enumeration district 0134, page 11A. William Alexander Starne died on 6 Jan 1926 in Springfield, Illinois, at age 64.